Although most kinds of dentures won’t stay in your mouth permanently, you should still take diligent care of them. Remember to clean them on a regular basis, use a protective case when you travel, and rinse them off before putting them back in your mouth. Continue on and find out how to care for your dentures. Just like you should brush and floss your natural teeth every day, you should make it a point to clean your dentures regularly. It’s a good idea to clean your dentures every time you finish a meal so that you can get food debris and other contaminants out of your mouth. It’s up to you whether you’d like to soak them or brush them with a soft toothbrush, but remember to clean the entire surface of each denture. If you’re going on a trip, you’ll probably want to bring your teeth with you. Make sure you have a sturdy carrying case for your dentures so that you can get through the trip without any issues. It’s easy for dentures to become broken amongst your luggage if you take them out, but a protective case can keep them safe throughout your journey. When you take your dentures out to wash them, don’t forget to rinse them off before you put them back in your mouth. Like saliva, the water will help remove acids, food debris, and other contaminants. Remember to rinse your dentures off each morning when you take them out of their soaking solution. 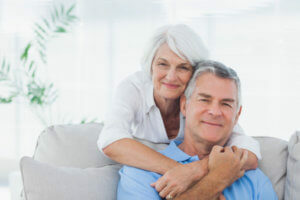 If you could use some help caring for your dentures, feel free to call John Carson, DDS at (520) 514-7203. Our practice is concerned with restorative and cosmetic dentistry in Tucson, and our team is competent and qualified. Find out how we can help put your smile back together by checking out our website. Plaque, Tartar, & Calculus: What Is the Difference? You know that plaque, tartar, and calculus are all enemies of excellent oral health, but you might not know exactly what they are. Some people even think that all of these elements are exactly the same, but your dentist will tell you that this isn’t the case. Read ahead to learn about the differences between plaque, tartar, and calculus. If you’ve ever wondered why it’s so important to brush and floss your teeth each day, plaque has a great deal to do with it. Plaque will continuously form on your tooth enamel, so it’s your job to continuously get rid of it. Unaddressed plaque can lead to dental health problems like gum disease, so make sure you stay on top of your dental hygiene. When you let plaque continue to form on your teeth, you might find yourself dealing with a number of oral health problems. Over time the plaque will harden and turn into tartar, which can then give way to tooth decay and the problems that come along with it. If you have a gum infection, tartar buildup can also stand to make it worse. Keep in mind that you’ll need your dentist’s help if you want to remove tartar, as standard brushing will no longer do the trick. While plaque and tartar are different, tartar and calculus actually are one in the same. Calculus—or tartar—can have a significant impact on your oral health. Make sure you brush your teeth twice each day and see your dentist routinely to get rid of the buildup, prevent calculus from forming, and preserve your oral health. John Carson, DDS is a Tucson dentist who would be happy to go over the differences between these oral health hazards with you. He can also provide treatments like teeth whitening and root canals, so stop by our website or call our offices at (520) 514-7203 for more information. The cosmetic dentistry industry is one of many that has benefited from modern technology. CEREC offers a multitude of advantages such as minimally invasive treatment, but it’s up to your dentist to decide if it’s right for your needs. Read on and answer some of the common questions about CEREC technology. Thanks to CEREC technology, your dentist can use a milling machine to fabricate crowns and veneers right there in the office. This can be an excellent choice for people who don’t have the time to come back for multiple visits over a relatively short period of time. When you use CEREC, you can get your restoration done in one day. This is perfect for working professionals with families to take care of, and it can be useful in a wide range of situations. Will CEREC be right for me? CEREC presents a convenient treatment option, but it’s not necessarily always going to be the go-to. If you’re wondering if CEREC will be used for your treatment, the only way to find out is to talk to your dentist. More extensive, full-mouth procedures tend to utilize the expertise of not only your dentist but also lab professionals and ceramists, but this may vary by case. 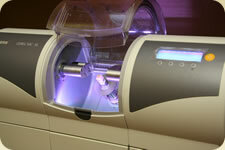 Do you have additional questions about CEREC technology? Call John Carson, DDS at (520) 514-7203. Dr. Carson handles dental crowns in Tucson, which can rejuvenate your smile and your confidence. Stop by our website or our offices to learn more about our practice today. Like brushing your teeth, flossing is an integral aspect of your dental hygiene that you should remember to do every day. Some people like conventional floss, while others prefer more creative flossing tools. If your kids aren’t looking forward to flossing, flavored floss can help. Keep reading and look at the different tools for flossing. 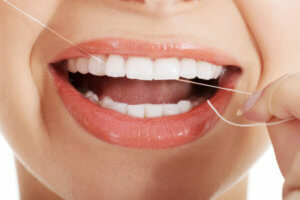 Although it’s far from the only tool available, the most conventional flossing tool is dental floss itself. Traditional floss comes in a spool that you can unwind and wrap around your fingers. You only need a few inches of clean floss pinched between your fingers to get the job done, but remember to keep moving on to a clean section as you go. If getting a handle on traditional floss proves to be too difficult, you’ll have plenty of alternative options. Traditional floss isn’t necessarily right for everyone, but don’t worry. You can find all kinds of different flossing tools in today’s day and age, and some are a bit more ergonomic than others. If you want something solid to hold onto while you floss, consider looking into flossing picks. They come in all shapes, sizes, colors, and textures, and they work just like regular floss—except you don’t have to worry about rolling out fresh floss as you go. It’s not always easy to get your kids on board with flossing, but fun flavors can sweeten the deal. You can find traditional floss in different kinds of flavors as well as flossing picks that come with a variety of tastes. Flavored floss can even be helpful for adults who aren’t so inclined to enjoy flossing. 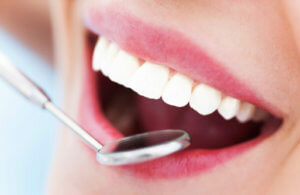 Are you looking to take better care of your oral health? Call John Carson, DDS at (520) 514-7203 or head over to his website. In addition to dental cleanings, Dr. Carson specializes in dental crowns and root canals in Tucson, so stop by the offices today. It’s helpful to start taking better care of yourself as you get older, and this means adapting your diet to fit your needs. Along with seeing your dentist, this will help you maintain your oral health, your energy, and your overall wellbeing. Here’s a closer look at the importance of a healthy diet for seniors. Oral health and general well being can become a vicious cycle as you get older. When you lose your teeth, it becomes more difficult to eat healthy meals. At the same time, your oral health may suffer when you fail to give yourself the nutrition you need. If you want to enjoy your beautiful smile for the rest of your life, it’s a good idea to eat healthily as you age. You are what you eat, and your food is responsible for the energy that you’ll use to carry you through the day. In order to stay awake, alert, and full of life, it’s important that you get the right balance of vitamins and nutrients. This can give you the energy you need to stay committed to your oral health routine or take a walk around the park. The makeup of your diet will affect more than your oral health, and it can substantially impact how you feel on a day-to-day basis. Eating healthily as you get older can keep you feeling great on every level, from your oral health to your mindset. A healthy diet will keep your body going and your attitude positive. In addition to a healthy diet, a good relationship with your Tucson dentist is important for maintaining your health. John Carson, DDS is a cosmetic and restorative dentist who can offer a range of treatments, and you can learn all about him by visiting his website or calling (520) 514-7203. No matter what sport you play, you’ll wear some kind of uniform. 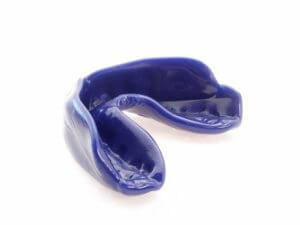 When it comes to contact sports like ice hockey and football as well as non-contact sports like basketball and baseball, a mouth guard can be a great asset to have. If you play any of these sports, it’s a good idea to talk to your dentist about a mouth guard. This can protect you and other players from oral trauma on the field, ice, or court. Mouth guards aren’t just for athletes. If you have bruxism, which occurs when you unknowingly grind your teeth, your dentist may recommend a mouth guard. This can help protect your natural teeth from these grinding forces, sparing you breaks, cracks, and chips in your smile. As anyone who’s experienced it knows, an oral trauma can be a painful experience. If you’ve recently had an oral trauma, your teeth may be particularly susceptible to further injury. When this is the case, a mouth guard may be used to keep your vulnerable teeth safe. Ask your dentist if a mouth guard is right for you. If you’re in need of a mouth guard, don’t wait to call John Carson, DDS at (520) 514-7203. Dr. Carson takes care of root canals, teeth whitening, and dental crowns in Tucson. You can also learn about our services by checking out our website.